Lucio Fontana, Spatial Concept, Expectations, 1959. The first major survey of Lucio Fontana (1899–1968) in the United States in more than forty years, Lucio Fontana: On the Threshold will reexamine the career of one of the most innovative artists of the twentieth century. 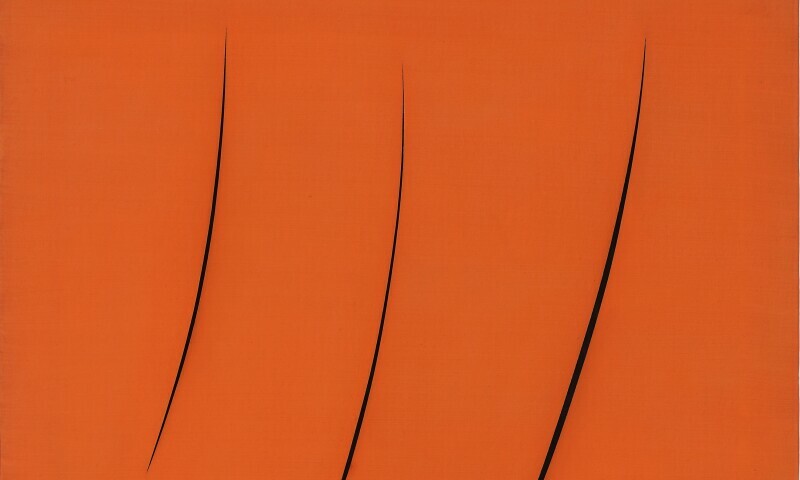 The Argentine-Italian artist is widely known for his Cuts series, slashed paintings that became symbols of the postwar era. The exhibition will present extraordinary examples of this iconic body of work. It will also explore Fontana's beginnings as a sculptor, including his exquisite work in ceramic, as well as his pioneering environments, contextualizing the radical gesture of his Cuts as part of the artist's broader search to integrate the space of art and the space of the viewer.